Every day that I have to spend my time with snotty kids, I fear for my soul. Sometimes, they are so horrible that I can think equally horrible things would happen to them, and all this with no remorse. I am finding that this may be the time in my life where I must be prepared for parenthood. For me, this process may take awhile, but I just don’t know if I can stand it. Patience is not coming easily or swiftly enough. However, if it prevents the filicide I never knew was in my future, it is worth it. I don’t take this trial as virtuously as I should though. I come home to Adam and say the most vial things about the little brats with the sailor’s mouth I never had. Some days and some kids and some classes don’t necessarily make it all worth it, but they make it possible to live through it. (I’m not saying it’s not worth it; I just don’t have the foresight or the optimism to know exactly what it’s worth yet.) 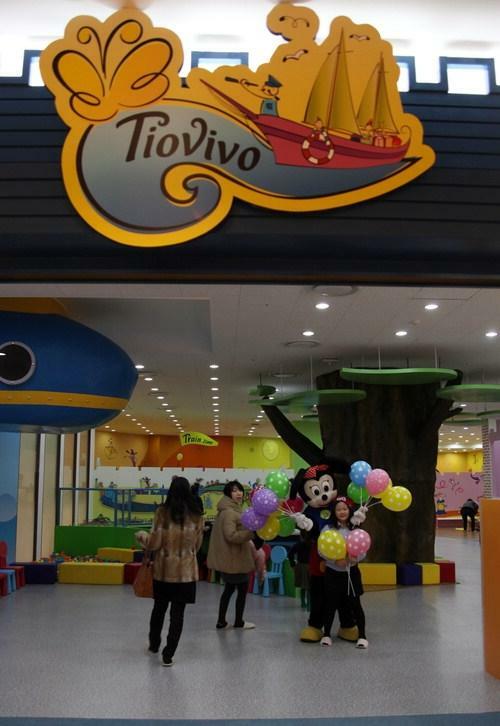 Today, we had a field trip to Tiovivo. That’s an indoor play center at the bottom of Shinsegae, the big richy shopping center. All morning, I ran around with kindies and babies, helping them out of the big, swirled, plastic slide (shocking the bananas out of myself and every static-charged kid), building lego forts, dressing blonde, blue eyed, very Eurotrashy barbies in trampy outfits, pretending to eat every plastic piece of food someone handed me, and launching kiddos into a colorful ball pit. Each teacher was assigned a class to ride there with and hang out with for the trip. I got my favorite kindie class. All girls and one boy who I teach songs and dances on Mondays; we do plays on Tuesdays, Wednesdays, and Thursdays; and we have art projects on Fridays. They are just so affectionate to me and usually each other. Even Paul, the boy. I taught his older brother last month. You may remember Ryan! Paul looks just like this only smaller. It was a nice outing with them. Then we came back to Wonderland. I had an hour and 20 min. lunch break. So the girls at school, Holly and Madison, and I tried the Japanese noodle place that is close to our school. It was delicious, and I will definitely be going back for their little rice wrap thingees. Then I had 3 hell classes, 1 hour break, and my favorite class. All girls, writing and presentation and speech. Fun. Anyway, Adam is teaching his kids songs and dances too. I will video that sweet action and post for your delight.